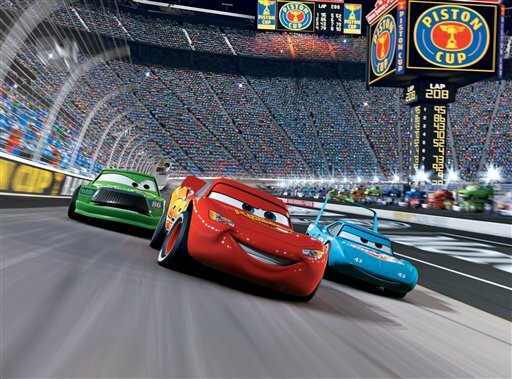 Animated Film Reviews: Cars 2 (2011) - Another Wild Funny Car Romp! 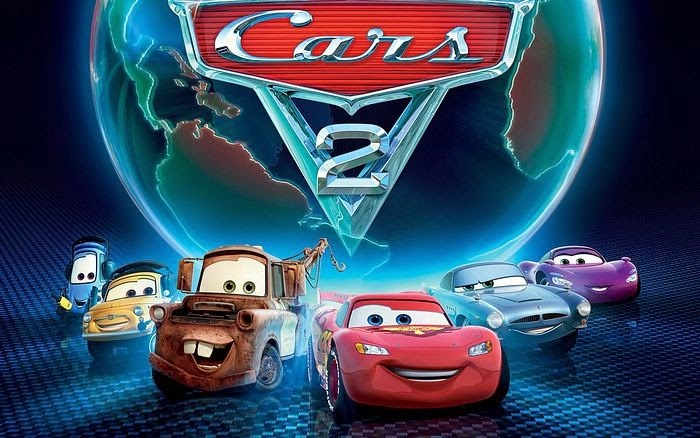 "Cars 2" (2011) is the sequel to the smash animated hit "Cars." This time, Pixar Guru John Lasseter shares the directing role with Brad Lewis. 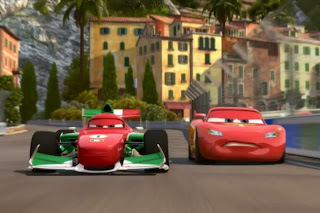 As those familiar with the series know, it has anthropomorphic cars voiced by top voice actors, with many celebrity cameos from the world of racing. The plot involves an oil company conspiracy to destroy an alternative "green" fuel. There is a lot of action, and much cloak-and-dagger sneaking around. 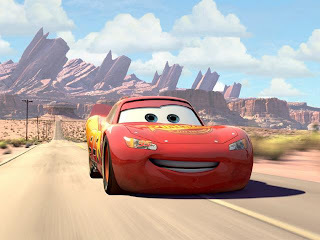 Lightning McQueen takes a back seat in this adventure to Mater, his down-home friend from back in Radiator Springs. Once again, Owen Wilson voices "Lightning McQueen." 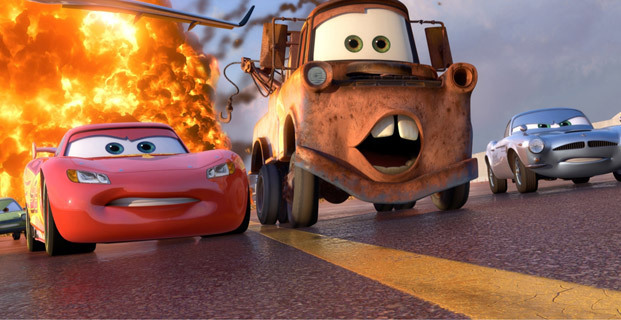 Larry the Cable Guy is along as his down-to-earth friend "Mater" the tow truck, Michael Caine is British spy Finn McMissile, who is an Aston Martin like James Bond and helps the gang uncover an insidious plot. An evil mastermind, Professor Zundapp, is voiced by Thomas Kretschmann. Doc Hudson is revealed to have passed on. The animation is the real draw, which is just mind-boggling in its detail. This time, in addition to the stark beauty of the mountain ranges of the American West, we get nice shots of sophisticated European venues and even get to fly in a plane named Siddeley (Jason Isaacs). 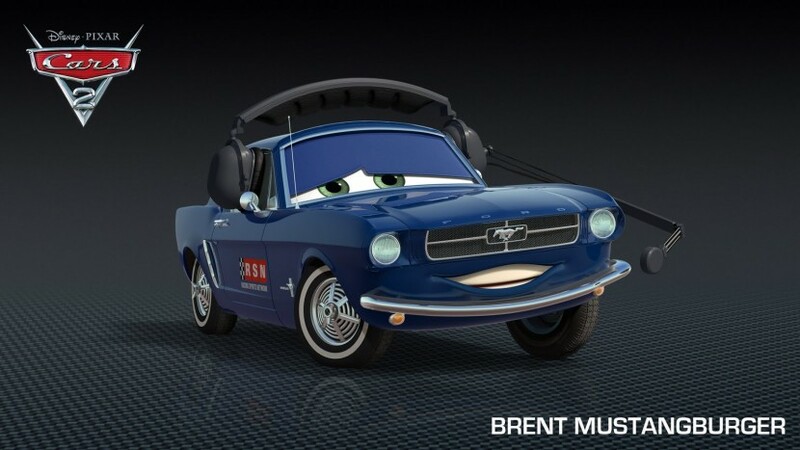 There are plenty of familiar character actors and celebrities, many from the world of racing, voicing minor cars, including Bruce Campbell, John Ratzenberger, Brent Musberger, Darrell Waltrip, Katherine Helmond, Bonnie Hunt, Eddie Izzard, Jeff Gordon, Marin, Paul Dooley and Tony Shalhoub. One of the delights of this series is playing "guess the star" as they come in to voice one car or another. 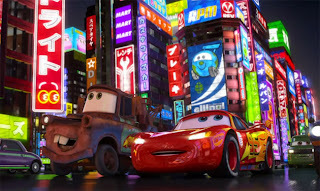 Mater and Lightning look dazzled! 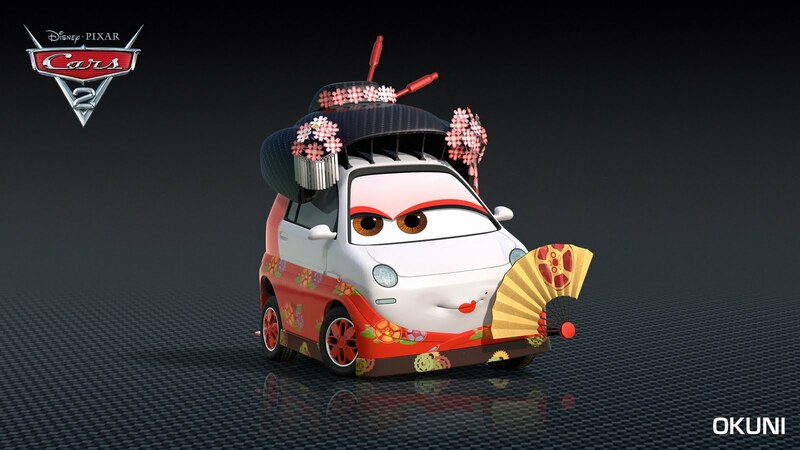 In essence, the plot revolves around a new fuel that is cleaner than oil. It is being promoted by Sir Miles Axelrod (Eddie Izzard), who institutes a series of Grand Prix races around the world to bring the fuel to the public's attention. An oil profiteer, Professor Zundapp, wants to discredit the fuel and will do anything to accomplish that, including killing Lightning if necessary. Finn McMissile investigates when the racing series gets to England, and mistakes Mater for an American agent. Mater then proceeds to solve the mystery, but not before Zundapp and his henchman cause all sorts of trouble. This is a middle-of-the-pack Pixar film, which means it is quite good. 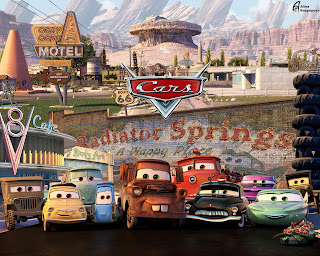 The focus shifts to Mater, who speaks with a heavy Southern accent, and he has to carry the picture. It is a tough assignment, but he does his best. If you like old James Bond films, this should be a very satisfying romp, complete with cars that fire missiles and all sorts of spy stuff. If the film has any problems, it is the fairly pedestrian and worn script. 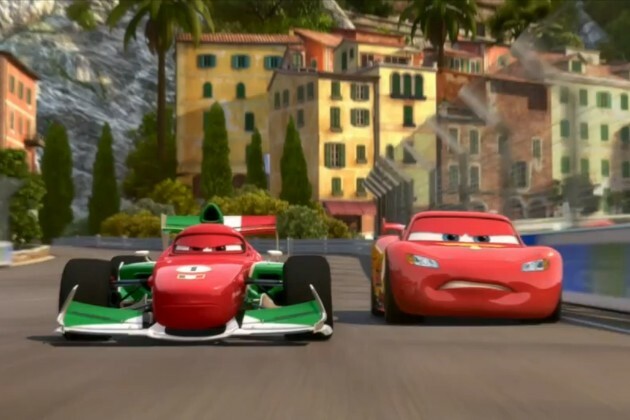 However, the colors will dazzle you, and the cars are just astonishing in the way they talk as if they had normal human faces. 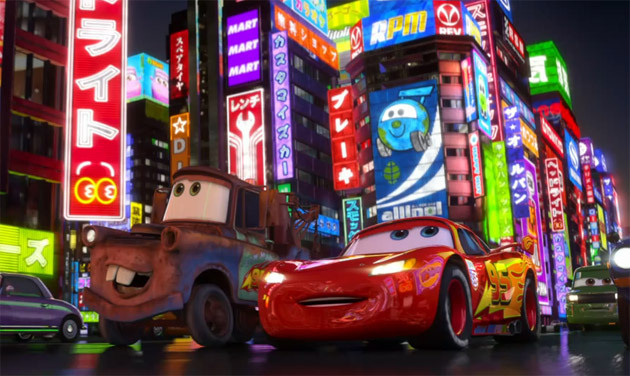 It would be a good idea to see the first film before this one, though, because this film relies on Lightning's relationships with his pals that he established in Cars. There is a nice twist at the ending that few will see coming. This film was released in both 2D and 3D, and the IMAX version is especially impressive. If you liked the first "Cars" film, you are almost certain to enjoy this one as well. 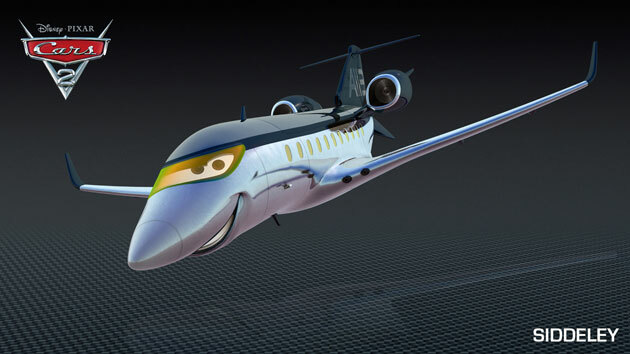 There will be at least two direct-to-video sequels focusing on Siddeley the Plane, both currently being made by DisneyToon Studios in Burbank, with the first one due out in Fall 2013.